We trust that y'all will dig this double feature of exciting exuberant rockabilly extended to you from Melbourne, Australia by Rhythm Bomb Records. 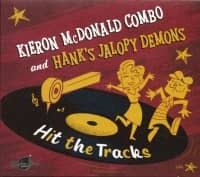 If you've followed Kieron McDonald's evolution over his past recordings, you're sure to appreciate his artistry here. 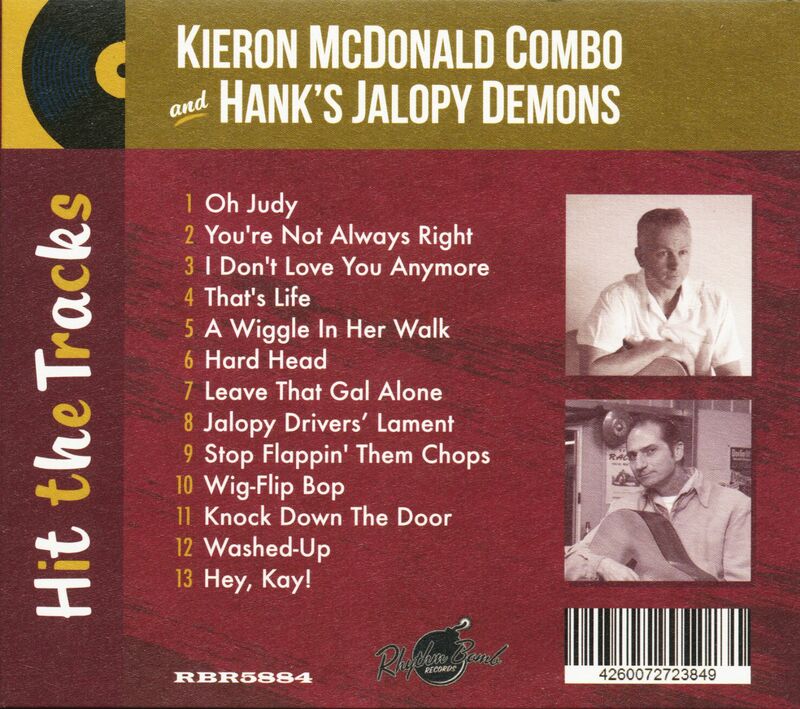 And if you had a chance to hear Hank's Jalopy Demons' previous offering, you'll realise that this band has now descended into the depths of depravity. In both cases, your delec-tation will be stimulated 'cause each track is a hit! So hit them tracks! 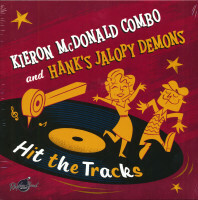 The Kieron McDonald Combo are one of the most well known and popular Authentic Rockabilly acts in Australia, they have been delighting audiences for years with their energetic and original interpretation of 1950’s Rockbilly/Rock’n’Roll music. All members of the band live the 50’s inspired lifestyle immersing themselves in the music, cars, TV/movies, architecture and clothing of the 40s and 50s. Kieron is known for his singing/songwriting both at home and abroad with a total of 8 CD releases and 3 vinyl releases spanning 18 years. His song writing is inspired by artists from the 1940s and 50’s and yet he injects his own original style and personality into his music. 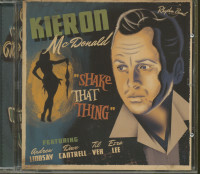 Kieron started out as the singer and Rhythm guitarist for Melbourne's Rockabilly outfit the "Flatfoot Shakers" in 1998. After 10 years (and 4 album releases) with the band playing gigs/festivals all over Australia and overseas, he moved to Germany and formed his own 4 piece combo with musicians from Holland and the UK. For 3 years they played some of the biggest and best roots festivals in Europe including The Rockabilly Rave in the UK, High Rockabilly in Spain, A-Bombers in Sweden, Tear It Up in Croatia and many more. Now back at home in Australia, Kieron has teamed up with some of Melbourne’s finest roots musicians, Dave Cantrell, Andrew Lindsay and Til Vex to compliment his style of traditional Rockabilly. Dave “The Kid” Cantrell, lead guitar for the combo is famous on the Aussie Rockabilly scene for such bands as ‘Hanks Jalopy Demons’ (Lead Guitar) and the ‘Starliners’ (Lap Steel) plus backing many other artist at home and overseas. Andrew Lindsey undoubtedly one of this county's best 50’s style drummers on the scene today, has been hitting the skins since the 80’s playing with bands from the Roadsters to Benny and the Fly By-Niters while also backing many international and local artists both home and overseas. Til Vex known to everybody on the scene simply as “Snappy” has played Stand-Up Bass for many years with well known Rockabilly band ‘The Straight 8’s. He is a solid addition to the combo. 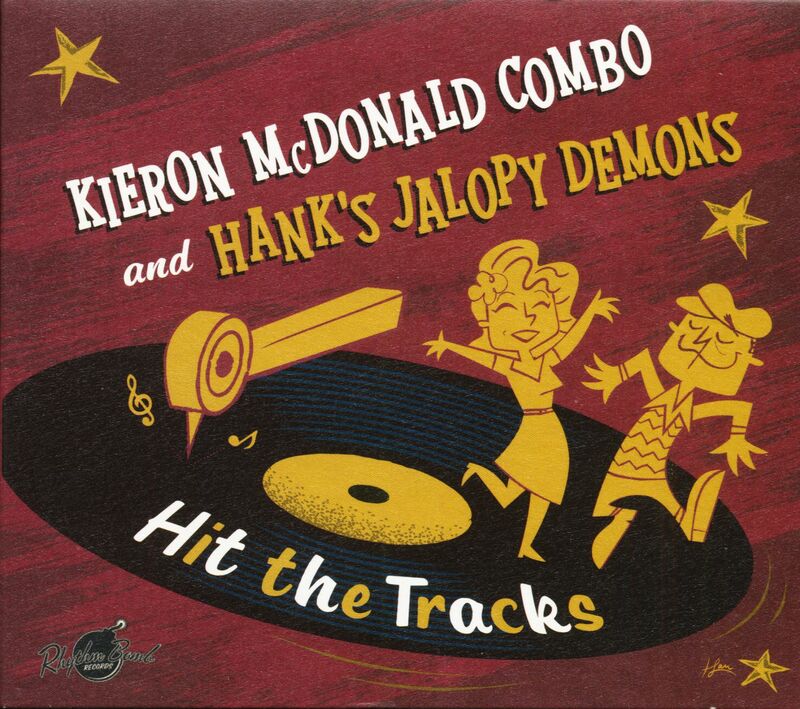 The Kieron McDonald Combo deliver authentic wild Garage style Rockabilly, Hillbilly Bop and Rock’n’Roll music in the pure 1950’s style, guaranteed to have you Jivin’, Boppin’ and Strollin’ on the floor. Customer evaluation for "Hit The Tracks (CD)"